In the span of one week, the Vancouver Canucks traded away three popular players: defenceman Kevin Bieksa, goalie Eddie Lack, and forward Zack Kassian. In fact, we had this song written for just Bieksa and Lack when we found out that Kassian had been traded…while we were preparing to shoot this video. Thus, we were able to add him albeit at the last minute. 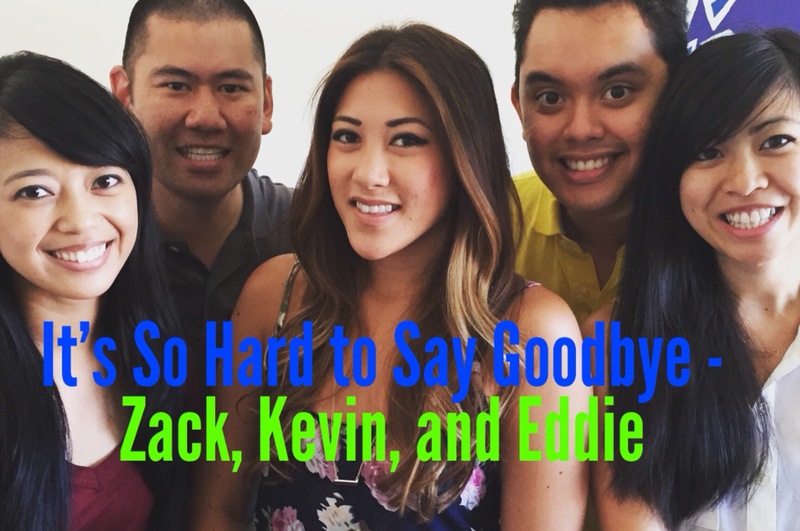 To pay tribute to these three players, we went with a Boyz II Men classic: It’s So Hard to Say Goodbye to Yesterday. This is actually the third Boyz II Men song we’ve covered for the Canucks. I’m joined by regular collaborators Marie Hui and Arielle Tuliao. As well, we welcome newlyweds Joseph and Marion San Jose, fresh off of their honeymoon to Rome where they gave a Canucks jersey to Pope Francis (with his name on it).